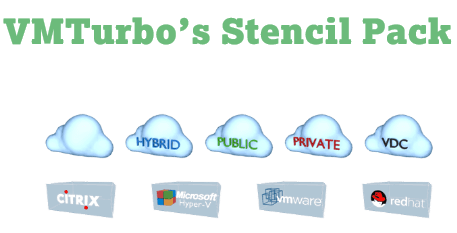 VMturbo released a new set of stencils to use in your virtualization design. Until recently I used a set that is around a while, and became a bit out-dated. Despite the fact the VMturbo stencils are used for lead generation (you will have register to download them) they are useful and you can even ask for stencils that you need but are not present yet.